There are many ways to access support if you are affected by cholesteatoma. We have put together a range of informative methods. This group has over 2000 members from around the world, which is fantastic, as there will probably be someone awake to answer your questions! This is a smaller but very active group. You should always get responses from other parents. It may also be a good idea to join the Facebook group Cholesteatoma – The Hidden Disease as well! On both of these Facebook groups you can find a search option at the top of the page. Try typing in the topic you are seeking answers to, for example ‘swimming’ or ‘CWD’ (Canal Wall Down). For updates from the International Cholesteatoma Association click ‘like’ on our Facebook page to be kept informed of our latest developments and new additions to the website. Here you will find stories from around the world, from people at different stages on their cholesteatoma journey to show you are not alone. Click on www.diseasemaps.org to find a patient expert who might be able to give you some advice and help. They can be found by looking for a green pin on the map. You might even be able to find someone close to you who will be familiar with your local hospitals and treatments. If you are interested in helping others, select ‘become an advisor’ and turn your pin on the map green. The International Cholesteatoma Association is not responsible for advice given by the advisors found via the map. Regional Support Co-ordinators COMING SOON! 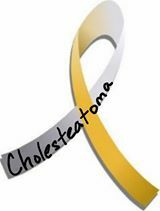 We are hoping to develop a support network to unite those affected with cholesteatoma. We are seeking Regional Support Co-ordinators to help and unite others. They will be able to provide information, advice, and share local knowledge with you. They may also be organising local group meetings if you prefer face-to-face support. Regional Support Co-ordinators will also be organise local distribution of campaign materials. Why not join us and become one of our Regional Support Co-ordinators? View the role description to see if you would like to get involved. If you are looking for immediate help and there isn’t a Regional Support Co-ordinator near you, go to the Facebook group Cholesteatoma – The Hidden Disease for support and advice from the cholesteatoma community around the globe, or click on diseasemap and look for the advisors.